The mission of the Common Ground Community Trust is to educate, organize, and implement community grassroots committees to take action that protects our environment against the drivers of climate change, which impacts watershed, air, public health and safety. called “Flow back”. The other 2/3 of the water is a result of “Shake and Bake” fracturing process, where the process disappears water FOREVER from the Hydrological Cycle of the Earth’s atmosphere. In the Southwest during drought and extreme drought with extreme weather climate-related events, we citizens need an accounting of where our water is going it the time of water scarcity. 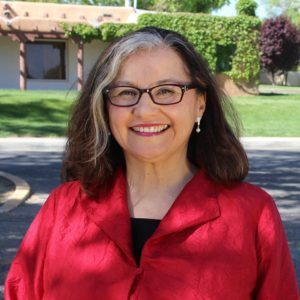 Citizen Grassroots legislation comes forward with the help of newly appointed Senator Antoinette Sedillo Lopez. 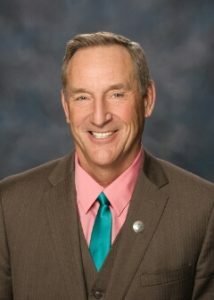 Senator Bill Soules District 37 Was the first to bring forward a moratorium that exempted the Permian Basin and it was tabled and never heard. He asked about produced water in the Permian Basin. department presentation to the Senate Conservation Committee about the state of fracking in New Mexico, newly appointed NM State Senator Antoinette Sedillo Lopez became concerned about the fact that the industry has moved forward so fast and is lagging behind the department’s ability to inspect wells and enforce regulations. She is asking for an important pause in the current agenda to facilitate necessary conversations, studies and plans to address the gaps in the state’s ability to address the impacts on our air, land, water and human life. The four-year moratorium will prohibit new permits and allow existing wells to continue producing revenues for the State. The bill asks the relevant agencies to report to the legislature and the governor the actual and potential impact of hydraulic fracturing. 1.) Please contact these commissioners and tell them to make a motion to vote this ordinance down. 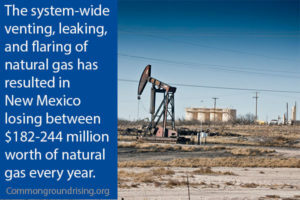 Fracking, pumping brine for fracking 100,000 gas wells on private and public lands, and the fires that Climate Change that holds dire consequences for people in NM. Sandoval County Oil and Gas Ordinance vote it down, revise and vet it and come back with a series of community meetings. Three possible lawsuits pending pay $100,000. They already paid NM Tech for Oil and gas info. Taxpayers money needs investment in a strong ordinance. Here are some public comments directed at the Sandoval County Commissioners about the county’s proposed oil & gas ordinance to be recorded as my public comment for the county’s oil & gas ordinance. There are also several documents attached which serve as background information that is part of my comments and I ask that these documents be included in the county’s public comment record. I ask that you please consider during your oil & gas ordinance evaluation the effects of oil & gas extraction activities on people’s health, welfare, and safety. To show the human face of such extraction activities I ask that you view a film about such effects in the town of Aztec New Mexico. This video may be viewed on YouTube. I made this video based on my August 2018 visit to Aztec to see for myself how oil & gas extraction has affected this town’s residents as discussed by a long-time Aztec resident. This 40-minute film has an 8 minute summary at the beginning. I ask that you also consider visiting Aztec and other areas with extensive oil & gas extraction activities so you can see, hear and smell for yourself these areas and decide if you think what you observe is significant. There are also 2 documents attached relating to Aztec and oil & gas which may interest you. 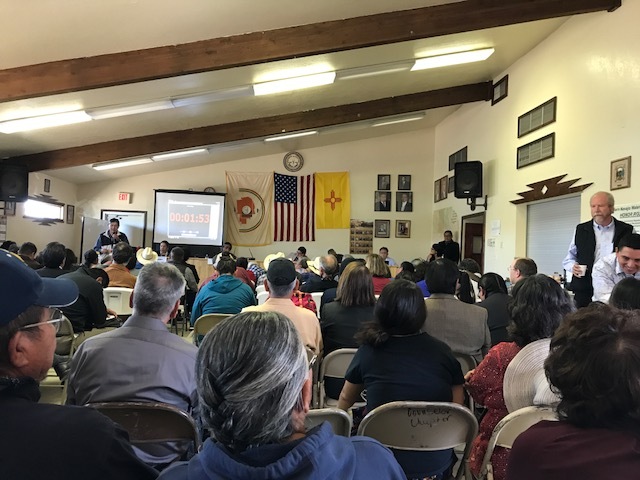 2018-08-08 AZTEC NM OIL GAS — Aztec NM grandmother recognized for the one-woman fight for clean air | NM Political Report Thank you for your time. UPDATE [ This letter from OSE on Brine Authorization regarding in the RIO PUERCO Sandoval County Brine Contract Due DECEMBER 14 2018 Sandoval County has financial ties to oil and gas to sell raw brine for fracking operations through the partnership agreement. Item 1 This commission must take into account the implications of the Interstate stream commission ISC report by Shoemaker in 2009 and 2013 that was concealed from the Sandoval County district court Case and NM Supreme Court(s) and even to the Legislature when they passed the brine preemption of no beneficial use drilling over depth of 2500ft. they did this despite knowing what the report said, that there were direct impacts to the Rio Grande from pumping brine. IMH financial Corp now has 47,000 AFY to pump as much water as Lake Heron. The employees involved should be sanctioned, Mike Springfield and Diane Maes, they have the institutional knowledge and email shows they were knowledgeable and promoting this project through economic development as well being careful not to include the only water modeling report to be financed in the state. Mike Springfield celebrated the win on the approval in the Legislature with MR George King in an Email, as without it would have been impossible to develop out this project without this legislation. 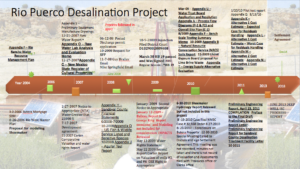 There was no record of the settlement agreement filed with County Clerk and no financial report or fiscal impact report to or from the County Treasurers office, with $6M of taxpayer money being spent on Desalination Pilot plant. And 47,000 afy In pumping rights? (of a finite source). The raw brine can be used for fracking without polishing according to the OCD Santa Fe and Aztec Offices. The county is supposed to receive payment for the $6m dollars in December and will able to sell 4,000 afy for industrial use. They are partners in the potential Exploitation of Resources that was concealed to the Courts and the Legislature based on Illegal behavior by the County Staff and the partners in the zeal for economic development. The asset is being litigated heavily in Arizona on the valued $1B asset. Sandoval County is nowhere to be found. They should intervene. 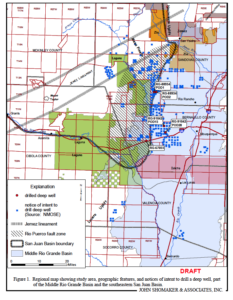 In order to protect the public health and safety of the people and environment of the region the brine desal directly impacts the oil and gas ordinance, the ISC report that was concealed would need to go back to district court for a decision on the new evidence to be referred to the NM Supreme Court. These water resources were stolen away from the state of NM, and the spoiled cases and concealment impact the Rio Grande Compact. We need an audit on the $6M -$10M the Citizens of Sandoval County Deserve a Financial and Ethics Audit since there was no official documentation to the County Clerks office or any fiscal impact reports on the project that can now be used as a potential water source for fracking. well-documented matter of record, and now we have the missing piece of the puzzle of water hydrology studies and modeling previous said to not exist. There were two reports of the model that is now being expanded by the OSE. There are serious implications and impacts all around. This commission should be aware of this report and we have filed a complaint against the County and people involved in this case, with the Office of the Attorney General. Item 2. UPDATE: This did not make the ballot it was vacated. Sandoval County voted on an unadvertised list for ICIP funds for roads, bonds and then they added new items, not on their revised working list. The list should have been made public as it includes new highways funds to develop for fracking truck traffic and the Paseo Del Vulcan #ABQ by-pass, which topped the list. The county residents should have had more of a say to bring forward the projects they need in their respective districts. This is important information as you consider the oil and gas ordinance moving forward. Item 3. We still hold multiple OMA Violations and Ipra Violation by the County on this case and the further violations of the lack of transparency in this issue are being documented. There are a pattern and practice of operating including the lack of public comment and participation by the County. These public comments put on the Website have never been included in the official comments of the Case; not in the Sandridge case nor in the Stoddard Ordinance Fiasco. We believe that is is also a violation of administrative law to direct the public to comment at this URL and then have no legal obligation to consider them. Here are some public comments directed at the Sandoval County Commissioners about the county’s proposed oil & gas ordinance to be recorded as my public comment for the county’s oil & gas ordinance. There are also several documents attached which serve as background information that is part of my comments and I ask that these documents be included in the county’s public comment record. Attached is a copy of the CWG Ordinance Team ordinance that was submitted to the county on October 10 (Wednesday). Specifically, commission chairman Heil was sent a copy as were the P&Z director and P&Z deputy director. Am sending you this ordinance and its legal review materials in case these were not forwarded by the county to all the county commissioners. Given that the upcoming commission meeting on Thursday lists a CWG Ordinance Team presentation, I thought it may be beneficial for all the county commissioners to at least have access to this ordinance. The CWG Ordinance Team recently created a website which includes all the materials for the commission’s Oct 18 meeting so people can more easily access these materials. Trying to find these materials from the county meeting agenda or the County’s oil & gas information site is very difficult. The CWG Ordinance Team ordinance and its legal reviews are also on this CWG web site. The different posted ordinances between the P&Z and County Commission meeting are very troublesome and show at best either staff confusion or ineptitude. 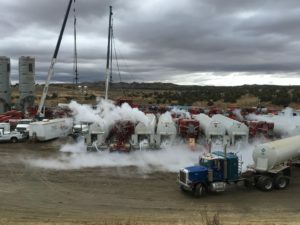 Given the county commission’s continued failure to provide complete oil & gas ordinance information to the public which would have given the public information for its educated review of these ordinances and educated comments to the commission, same could say the county’s “hearing from you” statement is at best disingenuous. I must (again) to point out the October 18 commission meeting agenda does not include a post of the Ordinance Team ordinance as an attachment as it does for the other ordinances that will have a presentation. This ordinance was submitted to the county on October 10. The agenda attachment page for this topic lists “No file(s) attached”. If the county commission wants people with an interest in the County’s oil & gas ordinance reviews to be able to review all the ordinances, then posting all of the presentation ordinances would provide people access to these materials before the meeting. Selectively posting ordinances may cause people to question the commissioner’s county work transparency. To be very candid, there was never a communication from the county P&Z staff or county commission Chairman Heil that the county would not post the CWG Ordinance Team ordinance. 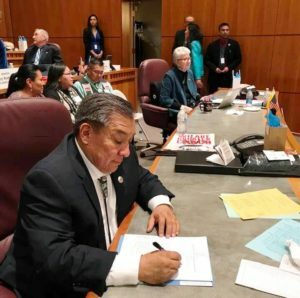 In a phone call to P&Z deputy director Makita Hill (505-867-7656, mhill@sandovalcountynm.gov) on October 15 Hill said this ordinance was not being posted because the P&Z commission had not forwarded this ordinance to the county commission. It is also understood that the county attorney Robin Hammer (505-404-5812, rhammer@sandovalcountynm.gov) advised the county commission to not post this ordinance. How hard is it for someone in the county to have informed someone in the CWG Ordinance Team that the county would not post this ordinance and the reason? Very unprofessional behavior by Heil, Hill, and Hammer. The updated NM Tech study is also not posted with the meeting agenda. 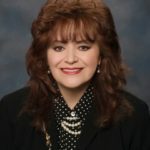 This update may be found on the county’s website page “Oil, Gas & Water Matter/Proposed Ordinance” (https://www.sandovalcountynm.gov/ogordinance/) under “New Mexico Tech Assessment Supplement Report – Oct 11, 2018”. It is good that the county posted this update here, but not having it posted as part of the meeting agenda makes it nearly impossible for people to find. Again, if the county commission is serious about residents being able to know about the county’s oil & gas efforts, then this study update would be posted with the agenda. This oil & gas info page does not mention for example at the top of this info page that this study is now present. Just adding an important file to the end of the page is rather lame without telling people about it, typical bureaucratic information control behavior. I also question the legal validity of the inclusion of several of the ordinances in the October 18 meeting agenda since these are not the same ordinances that the P&Z commission on September 25 forwarded to the county commission. The agenda states these ordinances are “As forwarded by the Planning and Zoning Commission”. Look at the 1st page of each ordinance to see the differences. 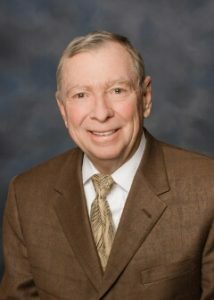 If the county commission is OK with using documents that have not actually been approved by other commissions and using whatever documents the commission wants, then it seems appropriate for the county commission to issue a county ordinance saying the commission is not bound by any document submissions and can use whatever they like. Having different ordinances for the Oct 18 commission than what was actually approved by the P&Z is extremely troubling from the perspective of me, a county resident, and I suspect other county residents. The commission may try to explain this as just sloppiness on part of the county P&Z and commission staff, but this seems like a lame excuse for what some would say is gross staff incompetence and minimal commission oversight at best. Given that the P&Z forwarded specific ordinances to the county commission, it only seems reasonable that the presentations for the CWG Science Team and P&Z Baseline ordinances can only use the Sep 25 P&Z forwarded ordinances and not any newer ordinances. After the weekly public oil & gas comments were posted for the week ending October 12, a few days later these comments were changed to include an ordinance. This ordinance is titled “CWG SCIENCE TEAM DRAFT: SWG-SC v3” which seems to be the latest CWG Science Team ordinance. I say “seems” since the title says “SWG” which I assume means Citizens Working Group. “SC” I assume really means “Science Team”. Seems whoever added this title had no idea of the correct name for this team. This Science team Draft was not part of these public comments when the comments were first posted. These comments originally began with an October 11 posting by Steve Palmer which now appears after the Science Team ordinance. This ordinance seems also to have just been added to the public comment PDF document since there is no email attached to this PDF entry. The entry for this public comment file on the oil & gas information page now states “Public comment includes recent revisions of CWG Science Committee Draft and CWG Draft”. This entry was changed after the Science Team ordinance was added to this comment file. Also “CWG Draft” is incomplete, seems like it should say instead “CWG Ordinance Team Draft”. Another example of what appears to be county staff incompetence. It seems to me that someone at the county wanted the Science Team’s latest draft to be on the county website somewhere. 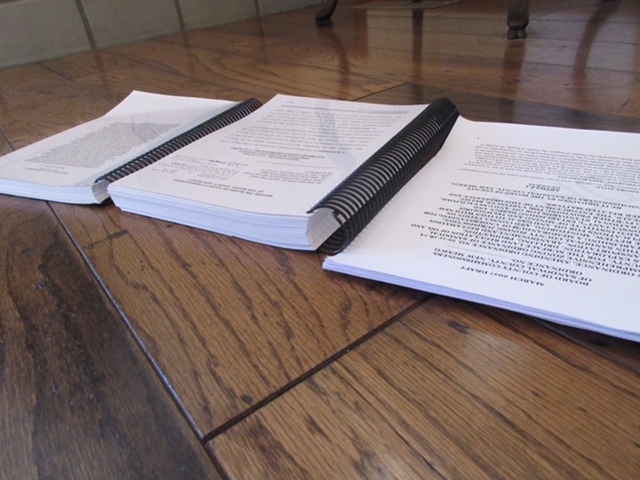 This public comment draft is not the draft that the county P&Z forwarded to the county commission on September 25 which whose first page is titled “AUGUST 2018 CWG DRAFT”. Someone at the county keeps playing immature and unprofessional games with the oil and gas ordinance review process. The changed oil & gas weekly public comments are also very troublesome and seem to show an effort by I assume the county public information officer (PIO) [Melissa Perez, (505) 867-7640, mxperez@sandovalcountynm.gov] to change a public comment document for some unknown reason. Attached is the CWG Ordinance Team’s oil & gas ordinance submission to the Sandoval County Commission for inclusion in the commission’s October 18 ordinance review meeting. There are 2 files attached; one is the ordinance itself and the other contains the team’s legal reviews for this ordinance. We ask that the county please include both files on the county commission meeting web site. If the county has any problems with these 2 files please let me know. The oil & gas ordinance discussion from the Oct 4, 2018, Sandoval County commission meeting is now on YouTube. This video only contains the oil & gas discussions which include commission chairman Heil’s commission meeting schedule, public comments (Alan Friedman and Greg Bergmark spoke), and commissioner Block’s summary comments. A video content page at the beginning shows the elapsed times where you can easily find the parts you want to view. I compiled this video from the county meeting videos to make it easy for people to review this meeting’s oil & gas ordinance discussions without having to wade through the 3-hour county web site videos. This oil & gas discussion video is around 20 minutes long. I am very concerned about the process the county commission is using to merge the Citizens Working Group (CWG) science team ordinance and the county P&Z ordinance (really just the old Stoddard ordinance). The commission’s dedication to this oil & gas ordinance process by spending 15 minutes for this rather important countywide topic was rather minimal (there were around 5 minutes of oil & gas public comments). Only a subset of the commissioners discussed the ordinance process, ordinances under review, and the entities that will provide their own presentations. The county Stoddard ordinance was rejected by the county citizens, Tribes and the county commission in 2017. Now the county commission wants to resurrect this objectionable industry-friendly ordinance and somehow merge this with the CWG science team ordinance. Q: What ordinance qualifications do the P&Z deputy and county attorney have to merge ordinances? Q: What criteria are they using for the merge? Q: Who specified the criteria? Q: Who has directed them to do this merge? The Citizens Working Group Ordinance Team ordinance is for all practical purposes being ignored by the county. IMHO, the CWG ordinance team ordinance provides the best solutions to the various issues relating to the county’s water protection and oil & gas development which the county commission’s own CWG mandate requested (see attached). This ordinance is not perfect (none are), but it contains I think the key parts for a very solid ordinance that is good for the water, people, Tribes and the oil & gas industry itself. The county commission seems to be ignoring any Tribal input at the commission’s very important Oct 18 work session meeting. The commission seems OK hearing from NM Tech, the CWG teams, the P&Z dept. and a state division — but hearing from the Tribes does not seem needed. The county commission should at least ask the Tribes if they would like to provide their own public presentation at the commission’s Oct 18 meeting. In prior P&Z meetings, there were Government-to-Government communication items on their meeting agenda. 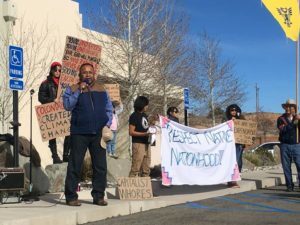 Seems the county commission does not see any need to listen to the Tribes express their opinions and concerns about the County’s oil & gas ordinance’s effect on Tribal interests. I understand that Tribal lands within Sandoval County include around half the county. The commission oil & gas ordinance meeting schedule document is also attached. Thanks to Greg Bergmark for requesting this at the meeting (Commissioner Block gave him his copy). This document was not on the county meeting’s website — it still isn’t. Seems from the meeting video that commission chair Heil prepared this document. 10-4-18 BoCC Sandoval Agenda OMA Agenda for Oct 4th meeting The OMA Item was Voted down. Here are the Dates for the Planning-Zoning Meetings — meetings are being fast-tracked or Fast-Fracked AGAIN! 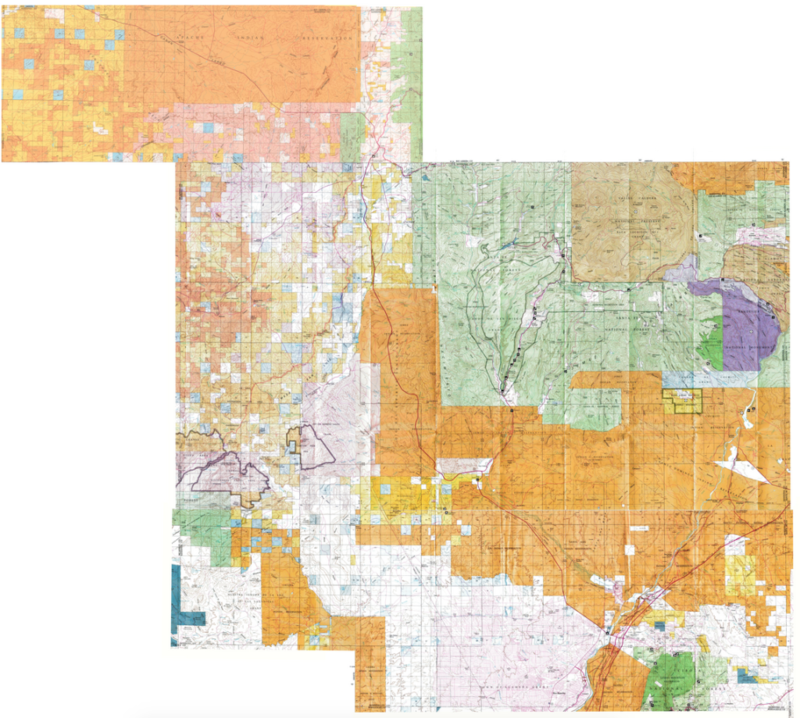 The white areas on the map indicate County Private Property and would be open to fracking estimated 267,000 acres with the streamline permitting process. This is a 11-minute composite image of Sandoval County at a lower resolution. We are creating overlays for this image — a work in progress. Become aware of what is happening in your neighborhood or in areas nearby. Find out more, and let others know. Become aware of opportunities to let your voice be heard. An expected potential of 15,000 to 30,000 oil and gas wells will be developed– nearly the same number as in the Permian Basin which has been touted by Thrust Energy as a financial boon to the county coffers.